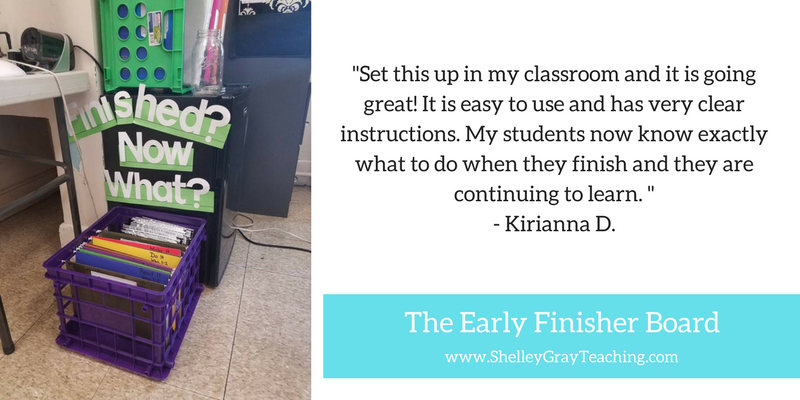 For over six years now, teachers around the world have been implementing The Early Finisher Board system to engage and motivate their students. 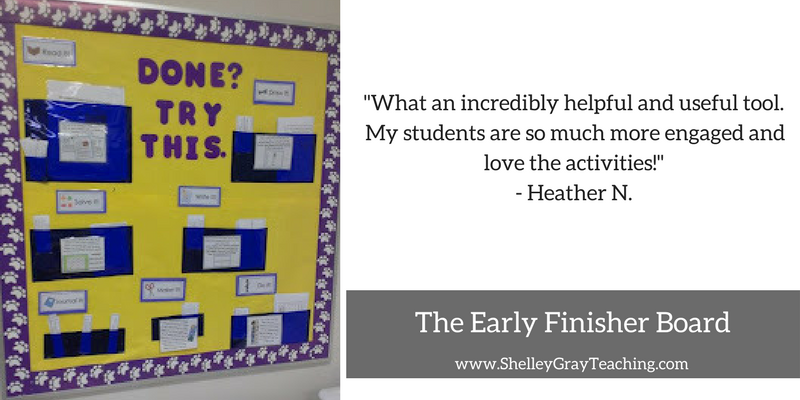 I absolutely love getting the opportunity to see how other teachers have put their unique spin on The Early Finisher Board. 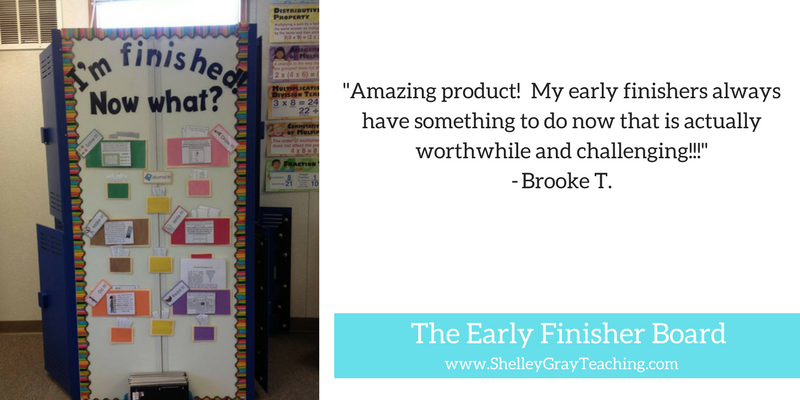 If you are currently using, or considering implementing The Early Finisher Board into your classroom, this page is going to inspire you! 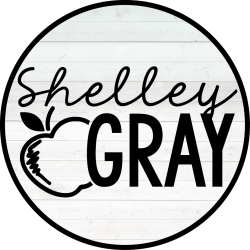 I am going to share tons of teacher pictures and feedback with you. You will see just how you can modify this resource to fit the exact needs (and space) inside your classroom. 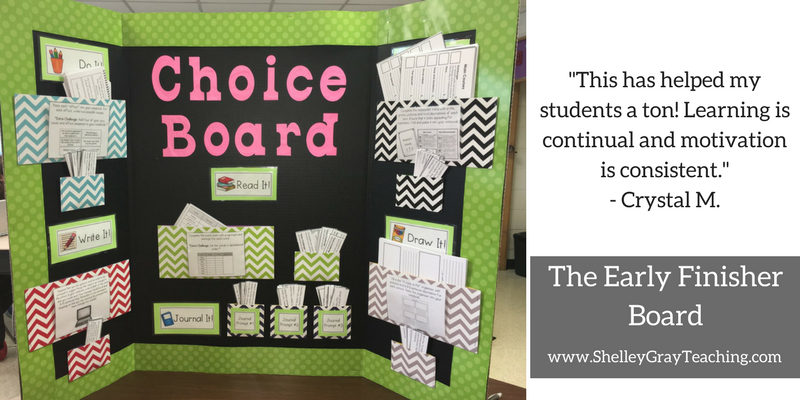 Even if you are using The Math Choice Board rather than The Early Finisher Board, these ideas will work for you! 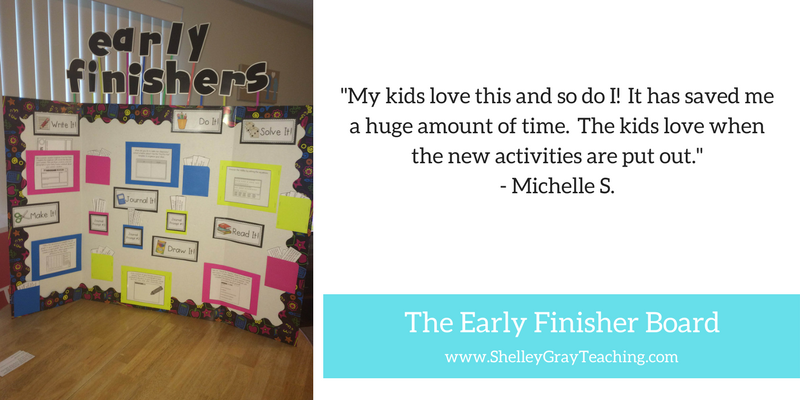 Near the end of this post, I’ll let you know how you can get started with a two-week sample of the Early Finisher Board for FREE! 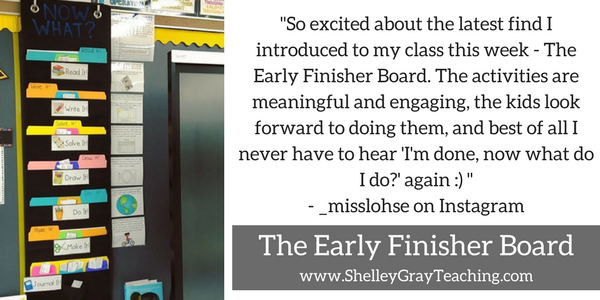 First of all, I want to let you know about a free mini-course that is going to give you a head-start on your Early Finisher Board or Math Choice Board. It’s will take 45 minutes to 1 hour to complete, and will give you an excellent overview of everything involved with setting up your Early Finisher Board. REGISTER HERE. 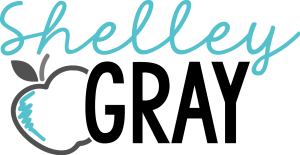 You’ll leave with a ton of ideas, inspiration, free samples, and a PD certificate. 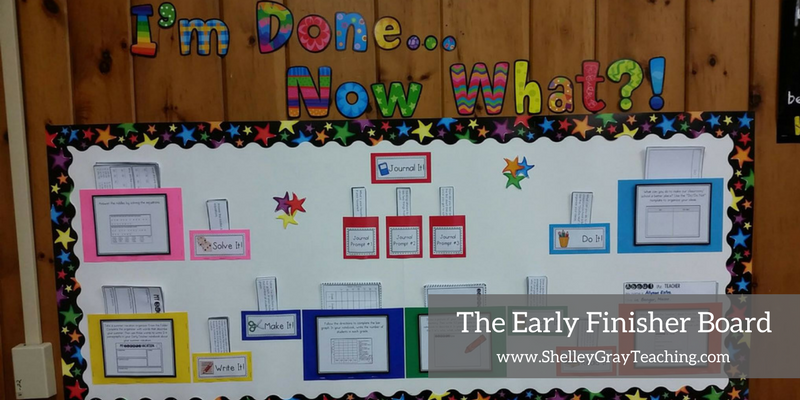 The original idea behind The Early Finisher Board was to use it with a tri-fold board that could be set up anywhere in the classroom. Personally I put a border around mine and used some colorful folders to make it pop! Here are some other variations of the tri-fold board version that I have received from teachers over the years. 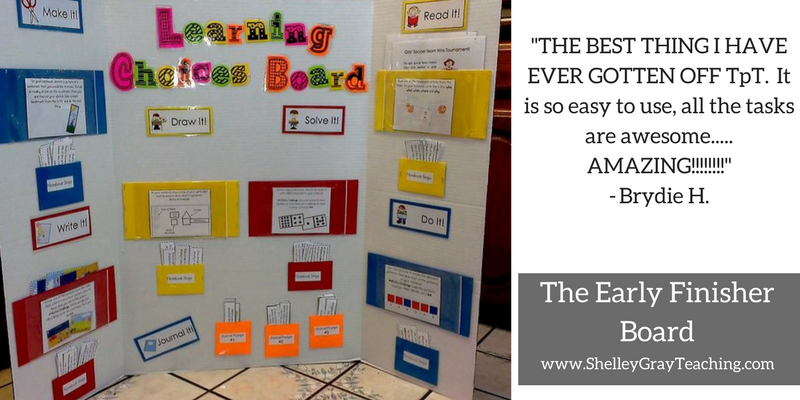 Bulletin boards are also a really popular alternative to the tri-fold board. 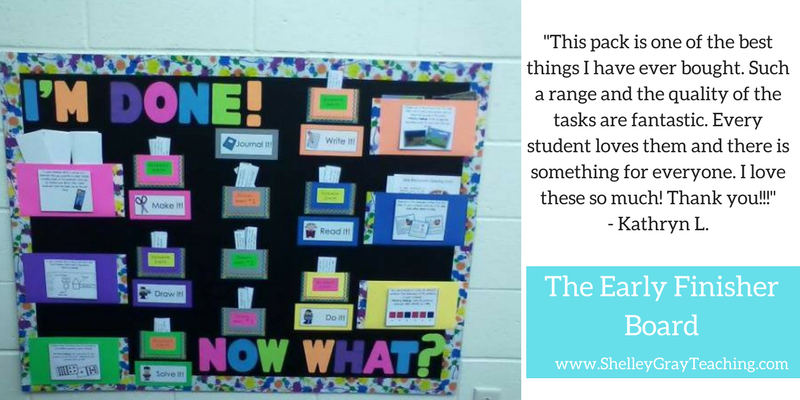 Here are some great examples of bulletin boards using the Early Finisher materials provided. 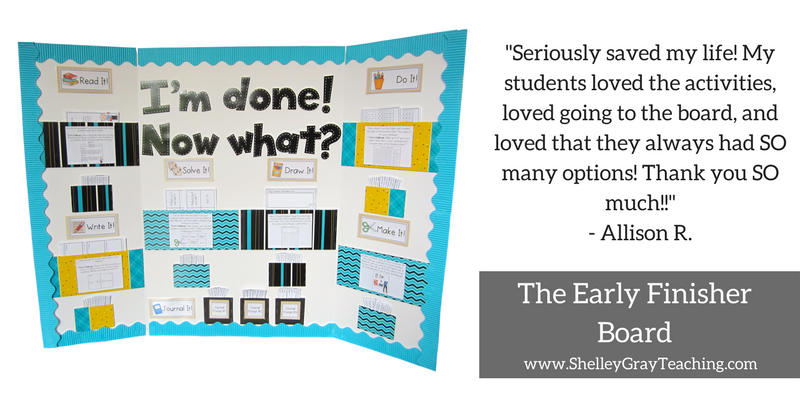 Some teachers find that even bulletin board space is hard to come by, so they have to get really creative. 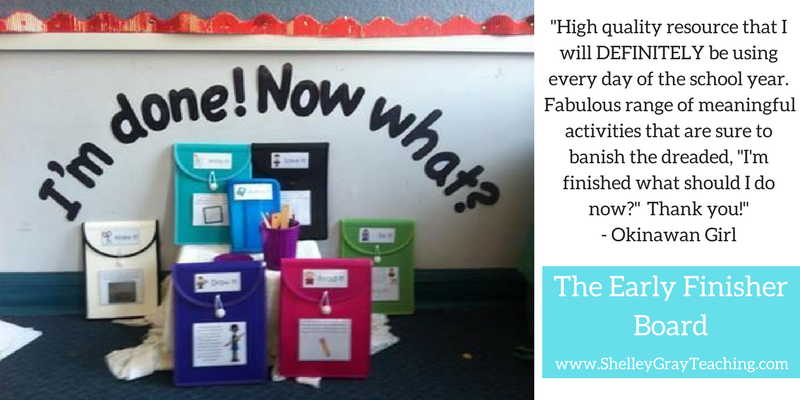 The great thing about The Early Finisher Board is that is can be used in a wide variety of different ways and can be modified to suit your classroom! These next few examples have amazed me! 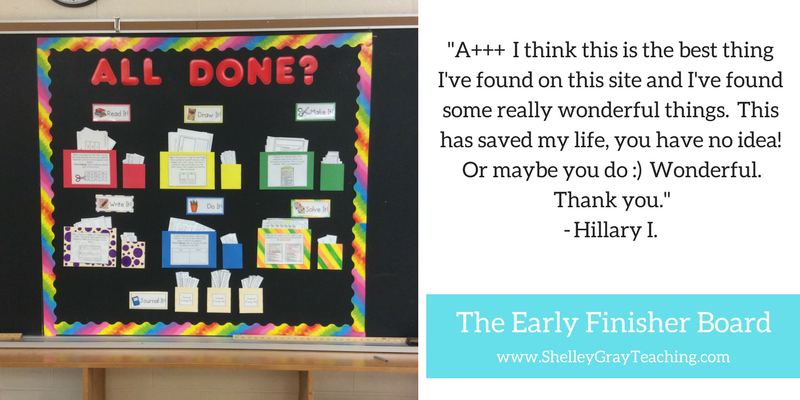 This teacher has set up her Early Finisher Board in file folders. I love how this takes up minimal space in the classroom, but still looks fantastic! See her Instagram post HERE. 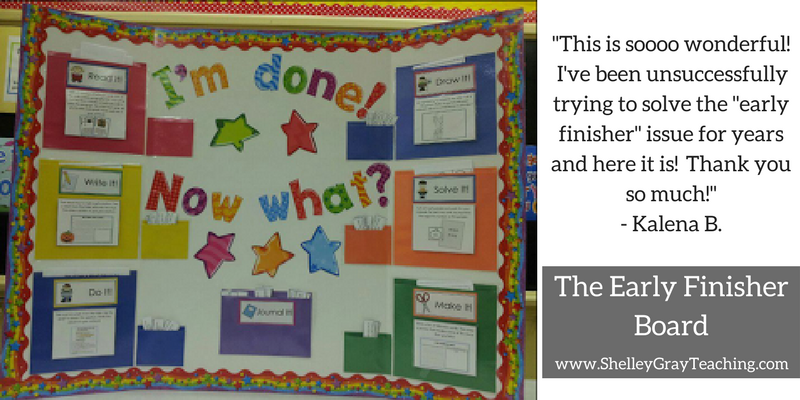 These next examples are from teachers who had to get really creative with their Early Finisher Boards! They were able to use the exact same materials as you’ve seen in the other examples, but they used them to make portable versions of their Early Finisher Board. 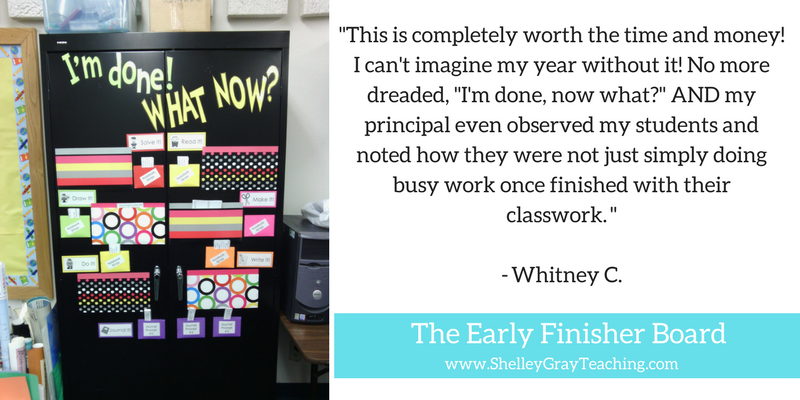 These teachers used the sides of cabinets to create their Early Finisher Boards! Love this idea! Start with a 2-week free sample HERE. Or, if you’re ready to go all-in with the full year system, browse the options HERE. Or register for the free mini-course HERE. I like and will use the 5-6 grade early finisher. Would like to see the 2-4 grade early finisher. I may have 2-3 very low kids in my group next year and want to ensure I meet their needs too. Just trying to figure if I need to get the combo. would love to look at this board idea! The free sample link leads to a page that says it doesn’t exist or has been moved. I would like to see the early finishers board.